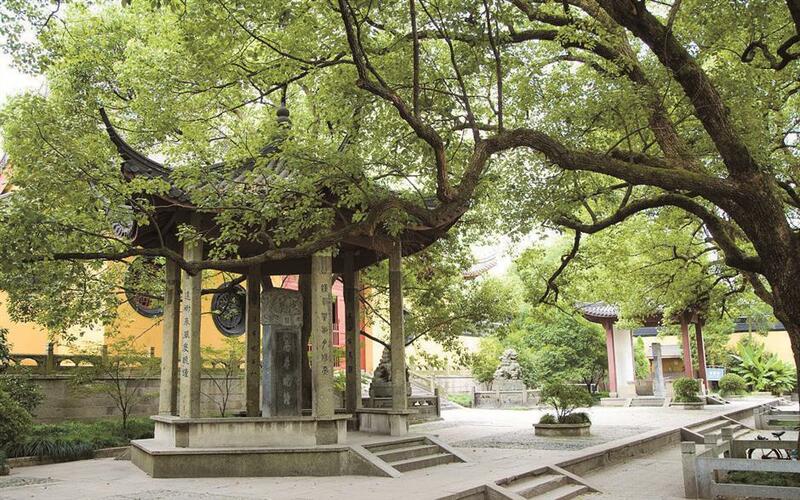 Several tea spots that serve aromatic tea and feature picturesque scenery during Hangzhou's enchanting summer. There’s nothing more refreshing than a cup of cool tea on a hot day in Hangzhou, known throughout China as a furnace. For years tea is offered to pedestrians for free around this time of the year. This week, temperatures will linger around 36 degrees Celsius. Visitors to West Lake Scenic Area can grab a cup of free tea at six stalls, which are run by warm-hearted citizens and local government. Below are couple of tea spots that serve aromatic tea and feature picturesque scenery. This garden is one of the most popular tourist attractions in summer as it is ablaze with pink lotus flowers. 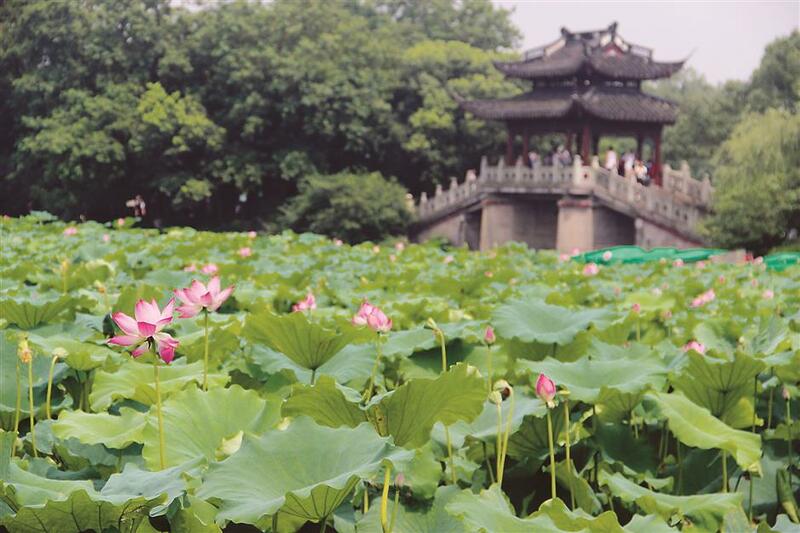 Nestled in the northwest of the West Lake, the park has 10 lotus ponds of various sizes and shapes, featuring dozens of species of lotus.In addition to pink and white, there are red and purple colored flowers from lesser-known varieties. The Bingdilian, which is characterized by two flowers on a single stalk.It provides a majestic ambience — whether early morning in great light, midday sun or in the evening as the shadows stretch on, offering shutterbugs with plenty of options.Visitors can get closer to the flowers along the winding wooden elevated planks and bridges. At dusk, the elegant setting is in harmony with classic Chinese buildings featuring up-turned eaves and carved windows.At the gate of the park, a stall offers lotus leaf tea. In traditional Chinese medicine, lotus is used to clear internal heat and stimulate fluids. They boost lungs, cleans blood, improve appetite and treat yin (cool energy) deficiency.TCM believes that during summer the body’s inner heat becomes excessive and has to be removed. Lotus leaves are considered the simplest ingredient to cool down the inner yang (hot energy). The tea stall is located opposite to the Jingci Temple and offers pu’er tea. Unlike ordinary teas, pu’er is a variety of fermented tea that is produced in Yunnan Province.Built in AD 954, the temple is famous for the Evening Bell Ringing on Nanping Hill, one of the top scenic sites of West Lake. The two-story bell tower houses a 2-ton bell with a deep, resonant voice. It is the second prominent Buddhist temple beside West Lake. Along with Lingyin Temple, it is called the jewel of the southern and northern hills in Hangzhou.Not far from the tea stall is the Leifeng Pagoda. Built on a hill above West Lake, the pagoda looks majestic, especially at sunset. It has stood silently watching over Hangzhou for more than 1,000 years. It has been destroyed and rebuilt and is famous nationwide due to the legend of the ill-fated lovers.The underground palace has been a veritable gold mine for archaeologists and historians as numerous invaluable artifacts were discovered when the pagoda was restored in 2000. The antiques are now on display at Gushan Pavilion of Zhejiang Museum. Free Longjing tea is offered at the one-hectare lawn in Orioles Singing in the Willows Park. 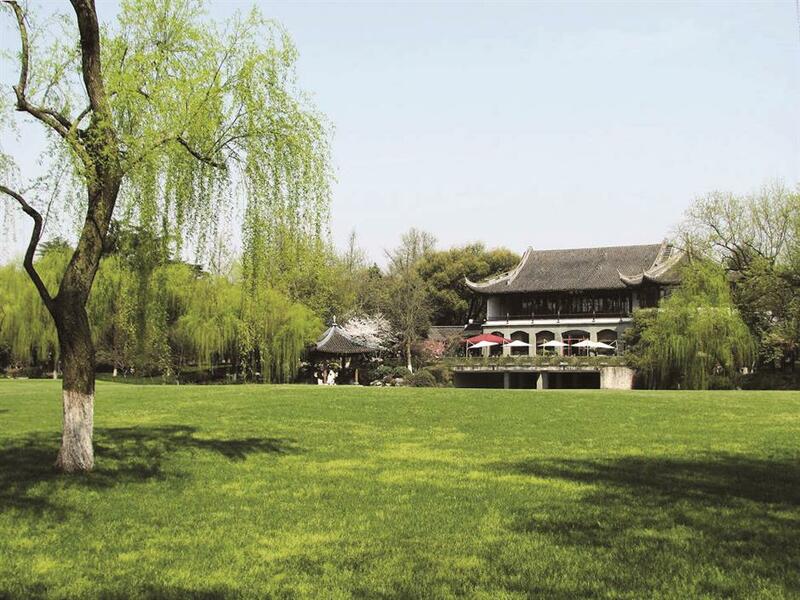 Hangzhou is the home of Longjing tea, which is known around the country for its high quality and great taste.People can walk and relax on the lawn but tents and high-heeled shoes are not allowed. Two kinds of seeds are used to keep the lawn green all year round.In ancient times, the garden used to belong to emperors and nobles. Now, it is a public space where flower festivals and other kinds of entertainment are held. Among the delights here are the green weeping willows and singing orioles. There are many varieties of willows along the 1,000-meters lakeshore and the paths throughout the park. Meanwhile, an oriole exhibition house is in the center of the garden and beside it stands a huge birdcage.